If you're concerned about your heart health and the thought of taking more pills makes your stomach churn, you'll be glad to know there's something you can add to your breakfast every morning to help make your ticker healthier. It doesn't taste bad, it's not a pill, and it could transform your health. Chia seeds are rich in magnesium - a crucial mineral for the heart. It's estimated that up to 75% of people in developed countries are deficient in magnesium. This is particularly bad for your heart. A review of 22 studies, published in the European Journal of Clinical Nutrition, showed that magnesium can help lower blood pressure. Another report published in the Journal of Clinical Hypertension showed that low magnesium levels are associated with high blood pressure. When research links low magnesium levels with heart disease and heart attack, then you know it's the first thing you need to add to your diet. And now you can do that easily with just one serving of chia seeds per day. BREAKTHROUGH: Did you know a compound in turmeric spice has been proven to actually kill cancer cells? A review of 67 research trials found that even a modest 10-gram increase in fibre daily can reduce LDL, or "bad" cholesterol, as well as total cholesterol. Other studies have shown that dietary fibre helps decrease inflammation-related conditions such as cardiovascular disease, diabetes, cancer, and obesity. Chia seeds are particularly high in dietary fibre - more so even than flaxseed. SanVia Gold turns all kinds of "guilty pleasures" into stealth superfoods! If you hate to cook, you'll love SanVia Gold. Just stir SanVia Gold into your favourite hot or cold cereal, and you're done. Or you can whip it up with your morning shake, add it to fruit-flavoured yoghurt, or sprinkle it onto salads or into your brownie mixture. Get your hands on this phenomenal super-grain that turns any food healthy…. Another way chia seeds help your heart is because of their rich Omega-3 content. Research shows that omega-3s can reduce the risk for thrombosis and arrhythmias (irregular heart beats). 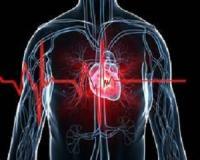 These disorders can lead to heart attack, stroke, and heart attacks. Omega-3s also lower LDL, total cholesterol and triglyceride levels. It reduces atherosclerotic plaque which can block arteries, and helps repair the lining of the artery walls - reducing inflammation and clots. It has also been shown to help lower blood pressure. Do good for your heart, add chia seeds to your breakfast in the morning, or make a delicious smoothie for your afternoon snack.